How should Apple & Siri compete with Amazon Echo and Google Home? Amazon was first with its Echo Wi-Fi speaker — a dedicated, standalone hub for its Alexa virtual assistant software — and now word has it Apple is working on a similar product for Siri. The several reports this week detailing Apple’s plans followed Google’s unveiling of its competitive Home hardware and Assistant platform at its Google I/O developer conference earlier this month. But what exactly will Apple’s competitor look like? And how will its reported plans for a Siri SDK play into its approach? A first report claimed Apple is working on a new SDK for Siri that would for the first time allow developers deep access to using the voice-controlled software for their own apps. That, according to the report, is being worked on alongside a dedicated Wi-Fi speaker for Siri that’s not unlike Amazon Echo and Google Home. But a follow-up report this week claimed that the Apple TV could be used as the hardware for Apple’s Amazon Echo competitor for Siri. And yet another report today claimed Apple is experimenting with including a camera and facial recognition in its hardware as a differentiator from Google and Amazon. And the reports note that Apple’s hardware might not be ready until 2017, meaning it has more than enough time to experiment with various approaches. That leaves a few questions about how exactly Apple will implement its Siri competitor. There are more than a few options: Standalone Amazon Echo-like hardware as first rumored, perhaps with camera and facial recognition tech. 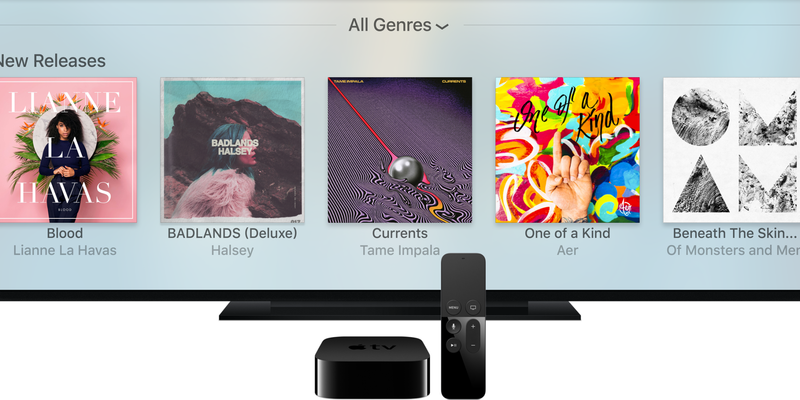 But it could also integrate with new or existing Apple TV units in various ways, or perhaps a similar approach but bundled into an updated AirPort product. It’s also possible Apple could adapt the current Apple TV hardware or even iPhone to work as a hub for Siri in the home by launching a dock or other accessories for those devices that builds in a far-field mic and any other necessary hardware. Or Apple could let third-parties build standalone Wi-Fi speakers that work with Siri using the new SDK that’s rumored for a WWDC 2016 unveiling next month. Two of the reports noted that Apple’s hardware might not see the light of day until next year, so it’s possible Apple could let third-parties pick up the slack using the new Siri SDK until then. And Apple also has some major Apple Music and Beats tie-in opportunities with a Wi-Fi speaker unit for the home, as we first noted back in August when we suggested it was time Apple got serious about a dedicated Wi-Fi speaker for Apple Music. But how would you like to see Apple compete with Echo and Google’s Home platform?